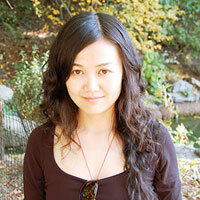 Helen Zhai earned her BFA with honors from Massachusetts College of Art and Design. As an art director in New York, Helen is experienced in various graphic design areas, from print projects, interactive media, brand identity, packaging, to events marketing. Helen is a team player who also knows to staying independently focused on the task at hand. She has a strong sense of typography and distinctive eyes for photography and illustrations. Her eclectic work and cultural background always bring unique solutions to design problems. She has won numerous design awards, including American Society of Business Publication Editors, Folio, and Ozzie. Helen's graduate presentation portfolio was noted in 2006 by Rockport Publishers in its publication Building Design Portfolios. Her VOTE poster has been featured in Steven Heller's new publication Design School Confidential(2009). Helen is fluent in Chinese and English.